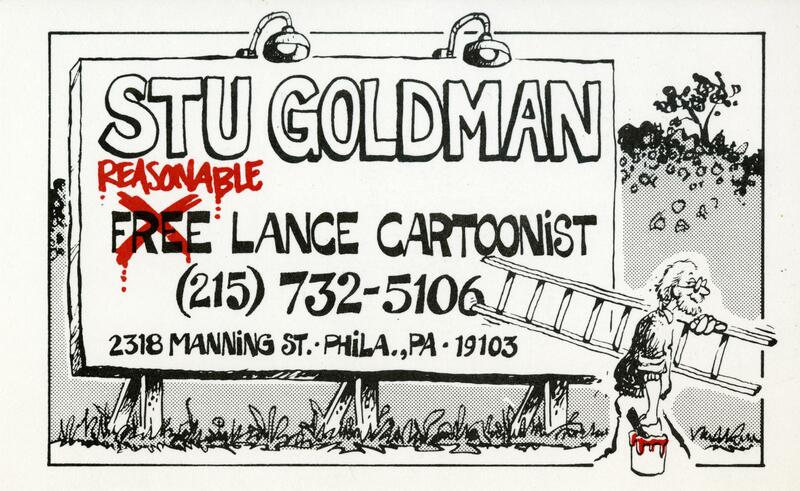 Stu Goldman, an award winning syndicated editorial cartoonist, produced illustrations for the Philadelphia newspaper, The Jewish Exponent, from 1981 until his retirement in 2009. 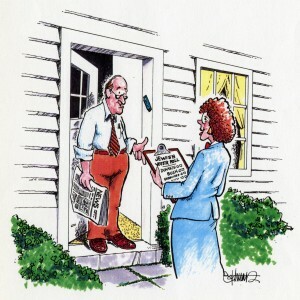 For many years, Goldman also served as a regular and feature cartoonist for a variety of periodicals: Centre Democrat (Bellefonte, PA), Prince George’s Sentinel (Hyattsville, MD), and the predecessor to the alternative press publication, Philadelphia Weekly, previously known as Welcomat, which featured “Eavesdrawing,” a cartoon illustrating eavesdropped true-life conversations heard throughout the city. At the height of syndication, Goldman’s editorial cartoons were featured in over 70 publications. 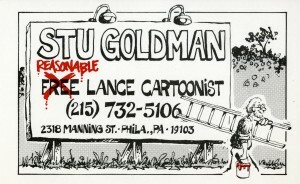 Similar to the work of fellow Philadelphia newspaper cartoonist Samuel R. Joyner, also held by the Special Collections Research Center, Goldman’s cartoons used political satire to comment on issues that affected his own community as well as those of national and international importance. During the 1988 presidential campaign season, for example, Goldman drew a number of cartoons depicting the struggle between then Massachusetts Governor Michael S. Dukakis and then Vice President George Herbert Walker Bush to attract the Jewish vote. 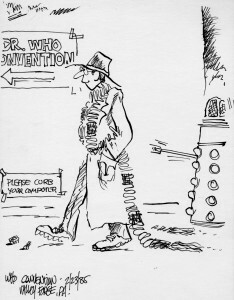 In addition to his editorial cartoons, Goldman’s papers also includes his sketchbooks, many of them produced during his travels in the United States and abroad. 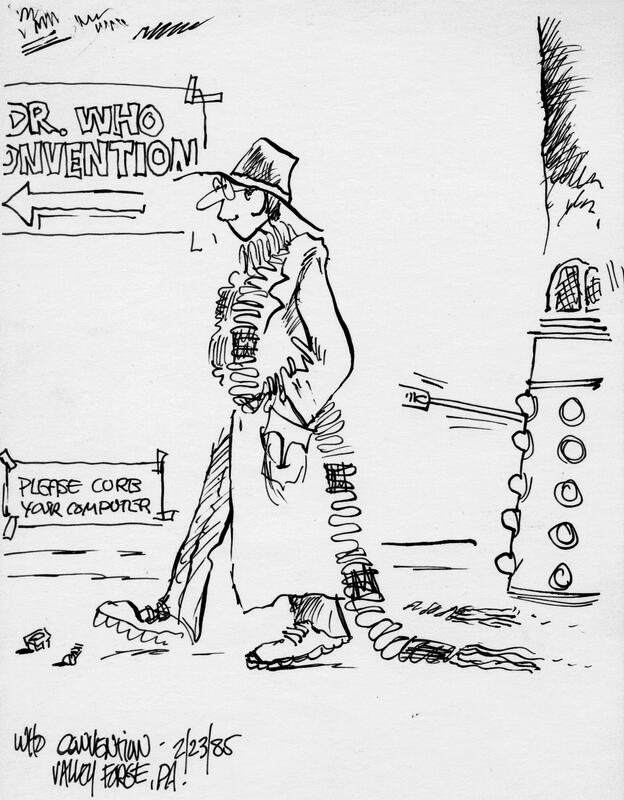 His sketchbooks contain images on a range of subjects from the 1984 annual meeting of the American Jewish Press Association in Washington D.C. to a 1985 Dr. Who Convention at the Valley Forge Convention Center. To learn more about Stu Goldman’s Editorial Cartoon Collection, contact the Special Collections Research Center at scrc@temple.edu .